NI Water has launched an innovation portal on its website that allows potential suppliers to present their ideas, services or products directly to the company. 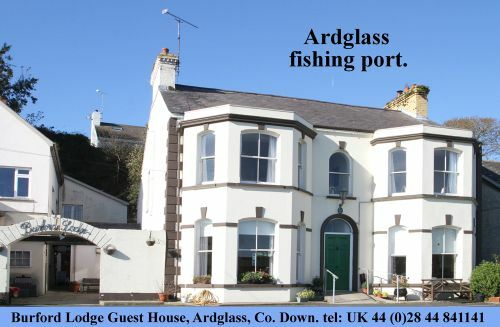 Among the first of its kind in Northern Ireland, the portal is designed to provide suppliers with easy access to NI Water with a central point of contact. 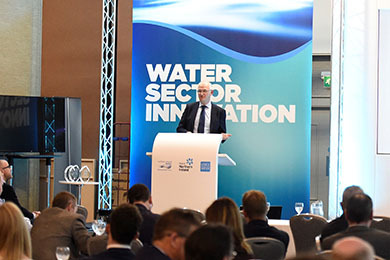 NI Water’s Director of Asset Management Paul Harper speaking at NI Water’s recent innovation event. Paul Harper, Director of Asset Management at NI Water commented: “Every aspect of life in Northern Ireland depends on the services NI Water provides. By supplying clean, fresh water and safely managing wastewater, we safeguard people’s health, underpin economic growth and protect the environment. “Innovation is key to driving efficiency and improving service and our customers and stakeholders both demand and expect it. Our innovation strategy is designed to support this vision and we take the position of an early adopter, seeking to embed unique ideas into our business. and complete the short form. All submissions will be considered and evaluated by our innovation team who will explore the possibilities presented if they are to be taken further. It is important that ideas demonstrate a benefit for NI Water. Opportunities can be submitted at any time and will be reviewed on a regular basis.